The M16 model 2006 has been noticeably upgraded in comparison to model 2000. While maintaining its peculiar size and design, it is now available with new accessories and technology improving flight comfort and general performance. Besides a general lightening and a different improved centring, the base model has been upgraded with new cooling and lubrication systems. To ensure optimum operating temperature in all conditions, a special heat exchanger has been introduced together with a new coolant radiator and a thermal expansion valve. As a result, the pre-take off phase needs shorter warming up times and the operating temperatures remain in the green arc. instrument in the cockpit) or Rotax 914 – 115HP turbocharged (coming with fuel pressure indicator). activities and work of training purposes. It also offers a range of options to meet the needs of a greater number of pilots. Available are a 20 liters carrier and, for training purposes, an electric trim control in the rear seat position. 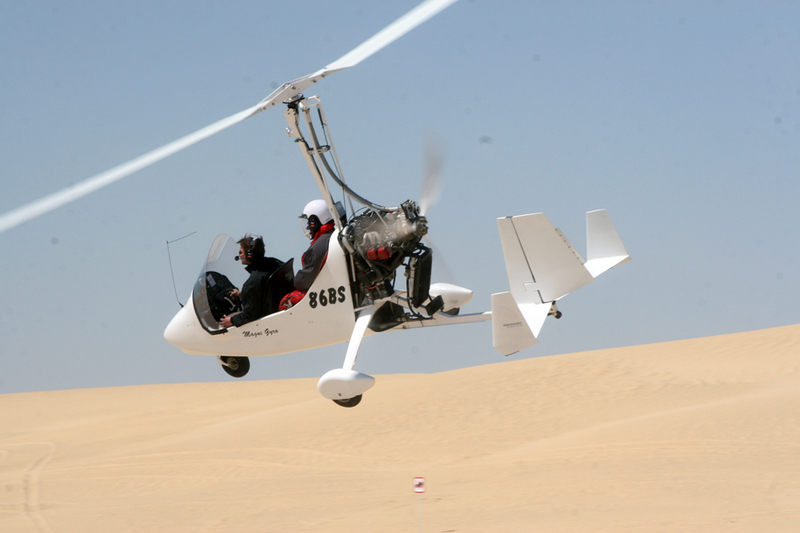 The M-16 Tandem Trainer is sturdy, reliable and has a considerable range. Easy to control and to handle, it assures fun and is the ideal gyro for teaching and enjoying flights with someone else. Manufactured in epoxy resin reinforced with fiberglass. Option : carbon cockpit. Carbon cockpit (- 5 kg) VSI - Radio - Transponder - GPS Rear windscreen - Step-on 4-point belts, pilot and passenger Strobe light - 12 V plug in - Protection cover 2 colors painting - Carbon / painted spinner Baggage compartment.